Send Me Your Ride Report! Click here. 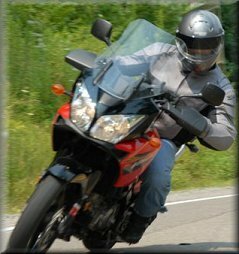 Welcome to Motorcycle Ride Reports (aka Jon's Motorcycle Podcast)! Here you'll find stories experienced from the seat of a motorcycle. Check out Episode #1: I'm just a guy who likes motorcycles a lot. See if you're interested in my style of podcast! Episode 1: I'm just a guy who likes motorcycles a lot. Episode 2: You never forget your first... SaddleSore 1000 that is. Episode 3: "The Grander": My second SaddleSore 1000 ride report. Problems getting the mp3's? Questions? Comments? Ideas? Ride Reports to share? I have currently suspended production of new audio ride reports for podcast distribution. I am continuing to audio record my adventures and keeping journals. Perhaps I'll share more stories in the future. Please enjoy what I have shared. Ride safe and often.